Q. How long does thatch last? A. 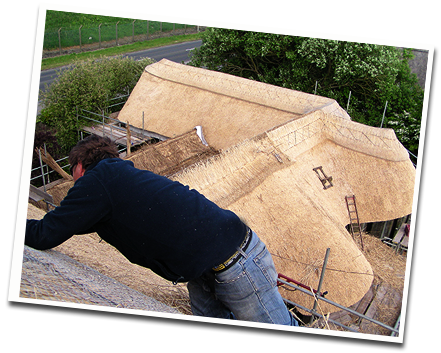 The skill of the Thatcher and the quality of the materials used are most important, but there are other determining factors that determine the lifespan of a thatched roof. A steep roof pitch will perform better than a shallow pitch. The roof elevation facing prevailing weather will normally wear quicker than the opposite side. Over-hanging trees can stop a roof from drying out and promote decay. 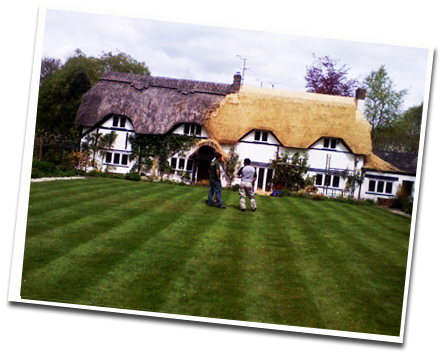 All this said, in the south west you should expect a lifespan of at least 20 years from your thatch. The ridge will need replacing after approximately 10 years. A. 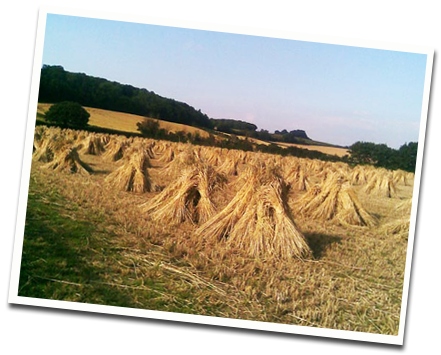 In Somerset and the rest of the south west, Combed Wheat Reed is the traditional material used although Water reed has become popular over the last 30 years. If your house is listed then you are normally required to replace ‘like with like’. 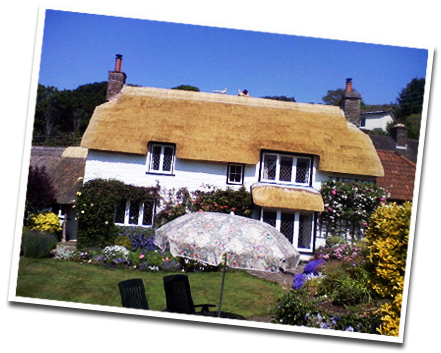 If your house is not listed then you may be guided by your Thatcher but be aware that replacing a historic multi layered straw thatch with a single layer of water reed is not always appropriate for an old building. learn more about historic thatch. Q. Does Water Reed last longer than Wheat Reed? A. Water Reed can last longer than Wheat Reed especially if applied on a well ventilated roof and directly on to the timbers. Be aware though that a good sample of Combed Wheat Reed will by far out perform some of the water reed currently being imported into this country for thatching. Q. Can you thatch new houses? A. Yes indeed and in fact hundreds of new houses with thatch have been built over the last 10 years. Q. Is there an increased fire risk with thatch? A. Statistically until recently thatch fires were no more likely than in a conventional house. However, there has been a sharp increase in fires recently due to the use of wood burners. A report carried out recently by Burgoines Forensic Investigators indicates that most thatch fires are reported shortly after lighting a wood burner. This would lead us to believe that embers ejected from the chimney during lighting are the probable cause. More research is being done but if you are thinking of having a burner installed make sure you treat it with respect. Below is some advice on what to do. Most people fit a flue liner when fitting a wood-burning stove. This may seem like a good idea if your chimney is old and in poor condition but be aware that a flue liner has a much smaller diameter than a conventional chimney and will drastically increase the ‘draw’ to a lit wood burner. The danger period seems to be when the burner is first lit; the vents of the burner are normally open, creating a rush of air through the burner and up the Chimney Flue. Burning embers from kindling and paper can be propelled up the chimney. Try not to let your burner roar away with the vents open. Open them enough to create sufficient draw to light your fire and then close them. Do not use your wood burner as an incinerator. Make sure you sweep your chimney regularly! At least once a year. Only burn well seasoned logs, preferably not pine or wood with high resin content. Make sure your chimney is tall enough, current regulations suggest 1.8 meters above the thatch. Have your chimney inspected by an expert before installing a wood burner, some chimneys have not been maintained, especially beneath the thatch level, this section of chimney may not have seen the light of day for hundreds of years..